Enhance the endurance of your customized message! Spiral-bound calendar features gratifying full-color photography of classic muscle cars. Size, open: 18-1/2" x 10-7/8". 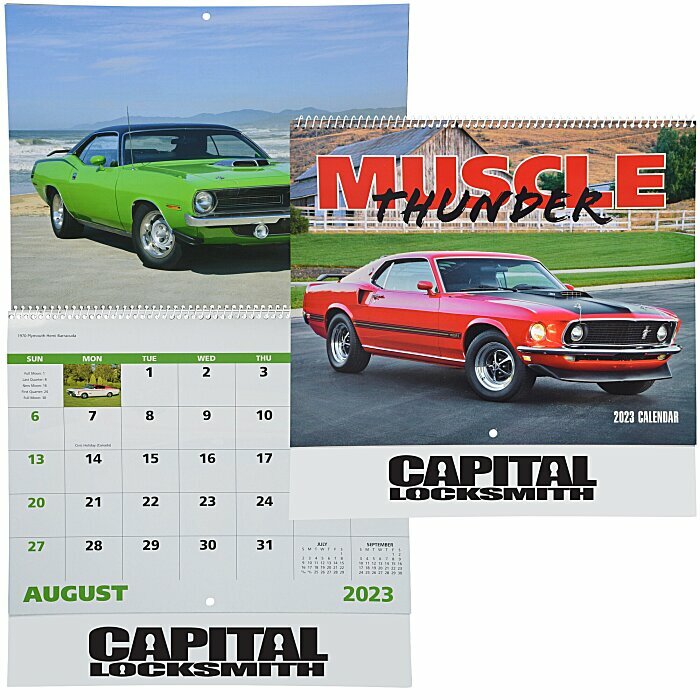 For staple-bound calendar, see item #111994-STMuscle Thunder Calendar - Stapled; for the calendar with imprinted window, see item #similar item search 111994-WD.